The Hill: House Democrats are facing the prospect of another floor vote on impeaching President Trump, the first since they took control of the chamber. 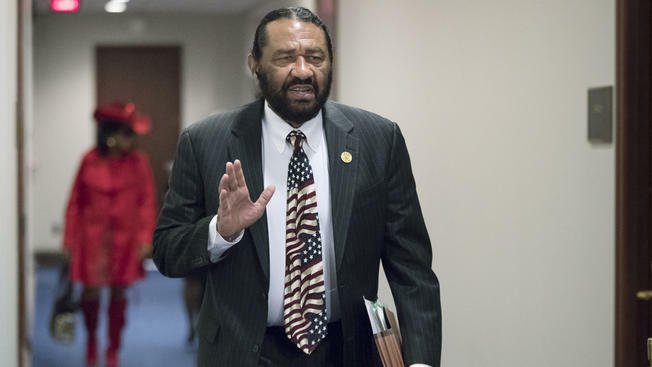 Rep. Al Green (D-Texas) announced this past week that he will call for a third vote on impeachment that is sure to divide Democrats. He previously forced House floor votes in 2017 and 2018, under a GOP-held House, that put fellow lawmakers on the record about impeachment. This would be the first time the House would vote on impeachment under a Democratic House, and a decision to not move forward would invite criticism. Green’s argument, as with his past impeachment efforts, is that Trump should be impeached for inflaming racial tensions in America. He linked Trump to the political crisis in Virginia, where Gov. Ralph Northam (D) is refusing to resign over a racist photo from his medical school yearbook page, and state Attorney General Mark Herring (D) has also admitted to once wearing blackface. “I just wanted to make it clear that there’s a necessity to do this because that behavior has infected the body politic to the extent that you have the behavior in the state of Virginia,” Green told The Hill. House Democratic leaders and the majority of rank-and-file members are skeptical of pursuing impeachment before special counsel Robert Mueller completes his investigation. And Democratic leaders have taken pains to portray their investigative efforts of the Trump administration as serious and measured oversight. Many Democrats therefore think that Green’s effort feels premature. “I don’t think we have to go galloping into it. That we can take our time, analyze the situation, build the investigations and then make a determination,” Rep. Danny K. Davis (D-Ill.) said of impeachment. Davis, who like Green is a member of the Congressional Black Caucus, appeared sympathetic to the effort to highlight Trump’s inflammation of racial tensions. But he isn’t eager to vote on impeachment at this point. “I’m certainly not in disagreement with Al’s attempt to raise the issue and keep it raised. But you know, if I had to vote right now, I wouldn’t be ready to vote on it,” Davis said. Rep. Carolyn Maloney (D-N.Y.), a member of the House Oversight and Reform Committee, echoed a desire to wait for Mueller’s probe before pursuing impeachment. “We want to wait for the Mueller commission. We’ve got to see what he says,” Maloney said. “We worked hard to create it, let’s wait for him to do his work.” Green says he sees no reason to wait for the outcome of the Mueller probe. Even Democrats who supported Green’s impeachment efforts in the past are skeptical of voting on it for a third time, however. Before Al Green was elected, was he a nuts sales person, that turned his brain nuts. How can this even be allowed to happen if there is no good reason? Isn’t there a name for this? 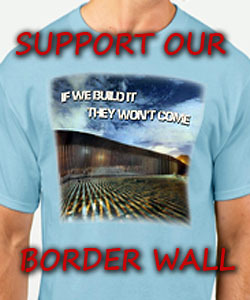 We know they are trying to impeach him but they have not come up with a reason yet. A vote should not occur. HOW CAN THIS IDIOT THINK THIS WILL FLY? ONE PERSON CANNOT IMPEACH A PRESIDENT. THIS PROVES HE IS TRYING TO DO TO POTUS WHAT SHOULD BE DONE TO HIMSELF.